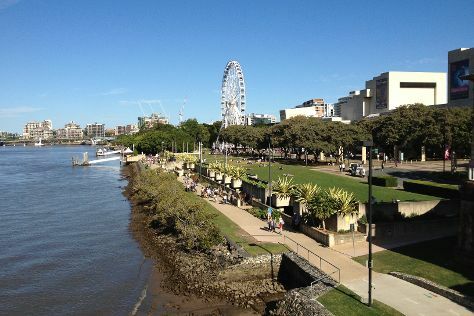 Get out of town with these interesting Gold Coast side-trips: Brisbane (South Bank Parklands, Lone Pine Koala Sanctuary, & more). Spend the 15th (Sat) exploring the fascinating underwater world at Sea World Theme Park. Next up on the itinerary: get in on the family fun at Warner Bros. Movie World, enjoy breathtaking views from SkyPoint Observation Deck, get outside with Pelican Feeding, and enjoy the sand and surf at Surfers Paradise Beach. To see reviews, maps, ratings, and more tourist information, you can read our Gold Coast trip itinerary builder tool . If you are flying in from Singapore, the closest major airports are Brisbane International Airport and Gold Coast Airport. Expect a daytime high around 24°C in June, and nighttime lows around 13°C. Wrap up your sightseeing on the 19th (Wed) to allow time to travel back home.